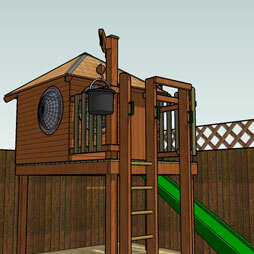 At Treesaurus we design and make bespoke furniture products (both large and small), tree houses, play structures, bike stores, bin housing and garden compost structures. We are cabinet makers and pride ourselves on our beautiful, practical designs, and we make a point of using the best available materials, including quality timber from sustainable sources as well as superior fixings. 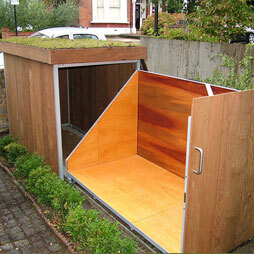 Our workshop is based in South London and we create and build in London and the South East. 1 We meet you in person, usually at your home or on site, to understand your detailed requirements, take measurements and discuss costs. 2 We produce outline plans for you to review. 3 We then incorporate any required changes and submit a fully-costed proposal for your approval. 4 As soon as your 50% deposit has been received we arrange to start construction. 5 You pay the remaining 50% once the project has been completed. 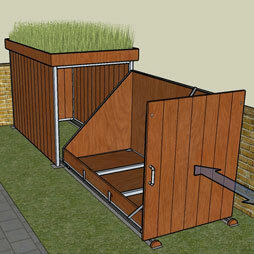 And when on site, we always take the utmost care to protect your home and garden. Treesaurus principal Charlie Mitchell is a graduate in industrial design who specialises in the design and production of quality timber structures and furniture. 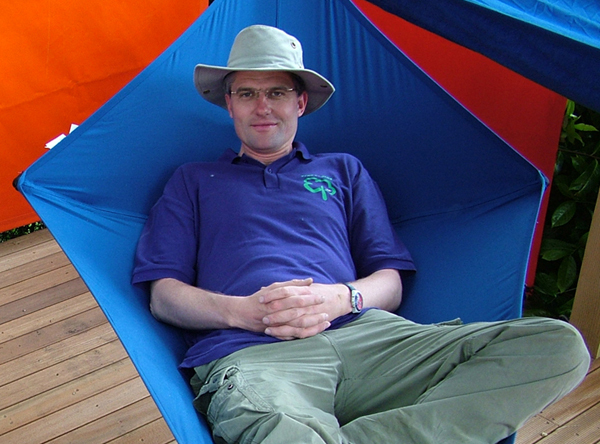 Having launched Treesaurus in 2003 primarily to create bespoke tree houses, he has subsequently broadened into many new areas of furniture and outdoor product design as a result of growing client demand. 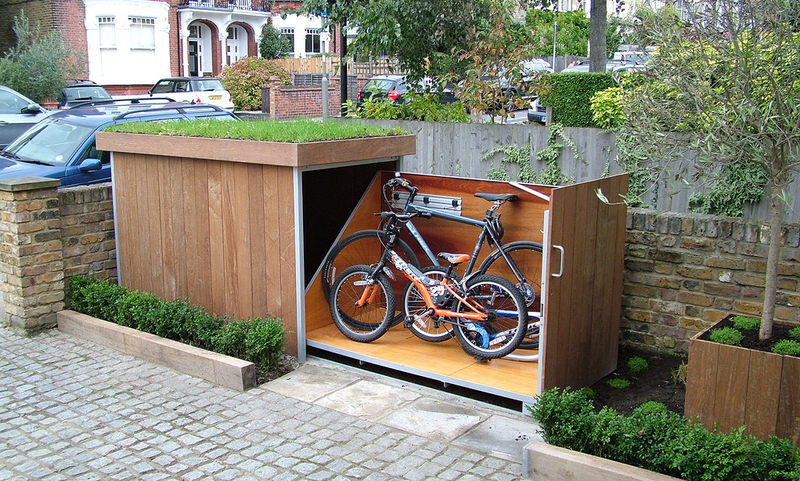 He and his team design and manufacture these products on site at their dedicated workshop in West Norwood, South London, as well as installing all structures on site. A fantastic investment-the kids get so much more from the garden having the treehouse to play in and they use it all year round-even watching DVDs in there in the winter. Charlie and his team were polite, friendly, punctual and trustworthy. 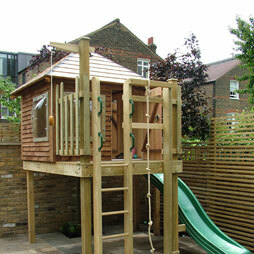 The TreeSaurus team were a pleasure to deal with and our two children absolutely love their playhouse, which keeps them and their friends happy for hours. We commissioned Charlie at TreeSaurus to build us a treehouse, but what he did was much better; he designed a fantastic and unique treehouse/ den to suit our garden and our four children. It has been a constant source of entertainment for us all and we would highly recommend TreeSaurus. Charlie is fantastic to work with and offers a follow up service so our treehouse still looks wonderful after several years. 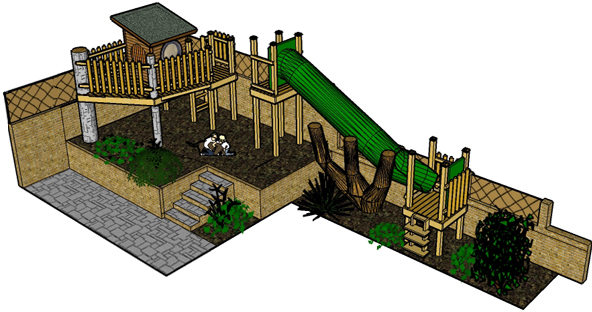 Treesaurus were hugely supportive and able to work with us to understand our requirements and deliver bespoke play structures that are loved by our young visitors. We would definitely use them again in the future.